A sweet treat at Christmas time that’s so easy to make! The kids will love helping with this recipe! 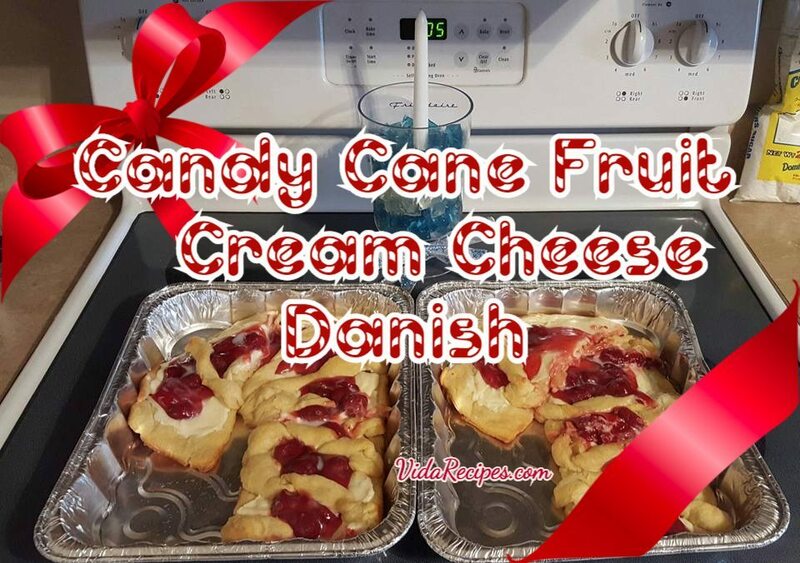 These candy cane fruit danishes are so easy to make and taste amazing! They are a great Christmas treat to make! They taste like heaven! This recipe is from Amanda Stortz – thanks Amanda! Set two roll sections aside for candy cane stripes. Lay out remaining crescent roll sections in the shape of a candy cane making sure to overlap the edges slightly. Use a knife to cut out your candy cane shape. Mix together your cream cheese, powdered sugar and vanilla extract, then spread on top of your candy candy shape. Using the remaining two roll sections, cut off long strips, twirl and lay on top of your filling to create a candy cane look. Bake at 350 degrees for 10-12 minutes or until bread is golden brown.